Right, so today’s the day we celebrate Dr. Martin Luther King Jr’s birthday, who most of us still agree was a pretty awesome dude who shared with us a dream of a better society which, of course, pissed off the people who were doing just fine, thank you all the same, so they shot him in the face, just like they did to Jesus, Socrates, learned women, and so on before him, more or less, but we gave him his own day, and some people even get off work for it, and there are great sales on mattresses, crazy deals, deals you just gotta see for yourself in person come on down right now, so we’re good and everybody’s happy, right? Here, I’ll even get you an extra 10% off your mattress! I know I said I couldn’t go any lower, but I just did!!! Plus, most people still agree that in hindsight it was totally not cool to have shot Dr. King in the face. And the rest are old people that think society went downhill when they stopped saying the N word to people’s faces and young edgelords that want to watch the world burn cuz they fancy themselves after Heath Ledger’s Joker instead of, y’know, somebody that says the N word from the anonymity of the internet. Ooh, and do you have controversial opinions on Jews, too? Oh my my, how saucy and original! Y’know, in my day, if we were bored, we’d get drunk, smoke a blunt, and drive on to the basketball court of a local playground to do donuts while one of us rode on top, holding on thru the open windows. Did Brian almost die that one time we heard the cops and came down the hill too fast, so Rene lost control at the turn and drove into the ditch, breaking his axle? Oh definitely. But was it awesome? It was. Sigh. Happy Martin Luther King Day, everybody. Oh, above is a photo of the Nature’s Heritage exceptional Velvet Sunrise Sugar Wax I’m puffing on today, which I picked up at a charming dispensary called Maggie’s in Baltimore- $28 special for the gram! Their shatter has been pretty good, too, but they gotta stop putting it directly into the glass jar, cuz it sticks to it and I gotta chisel it out, which results in lost pieces and thus, liberal tears. Just put it in parchment and then put it in the glass. Please. 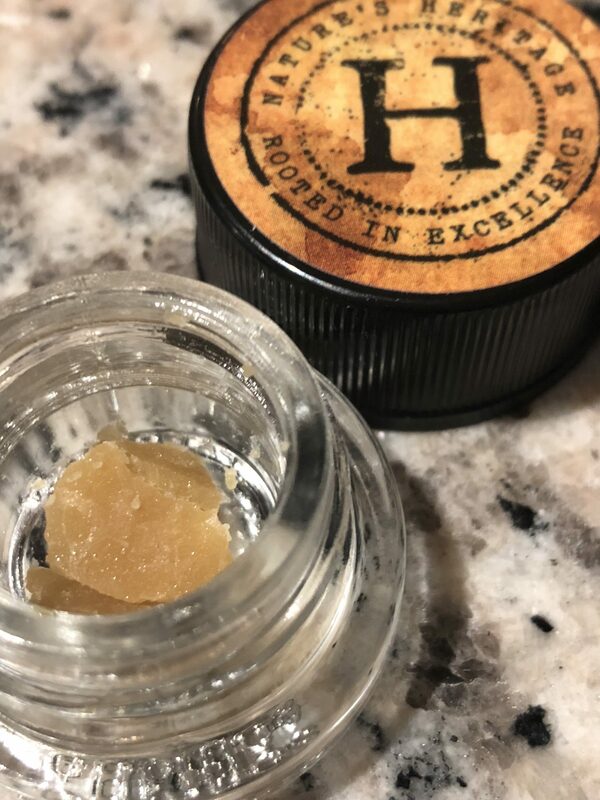 Concentrate, Dispensary, Maryland, Medical, Now Available. Bookmark.